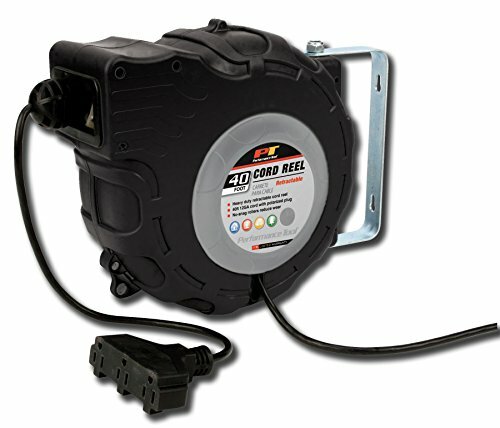 Great for use in any garage, workshop or jobsite, this reel stores 40ft of 12 gauge cord neatly and compactly. The triple tap grounded outlet provides up to 15 AMPs of power. Includes hardware.